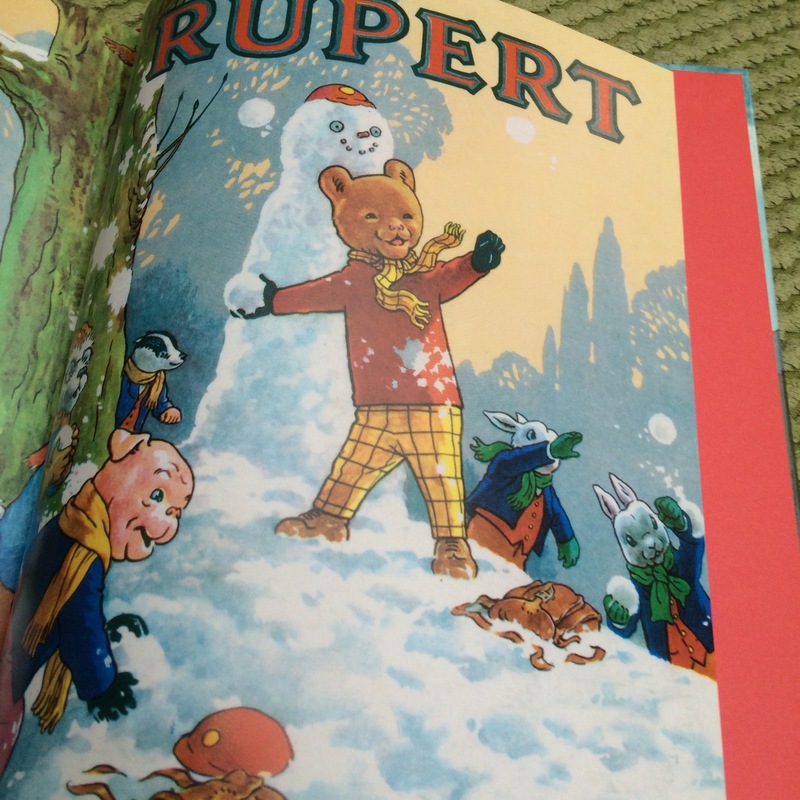 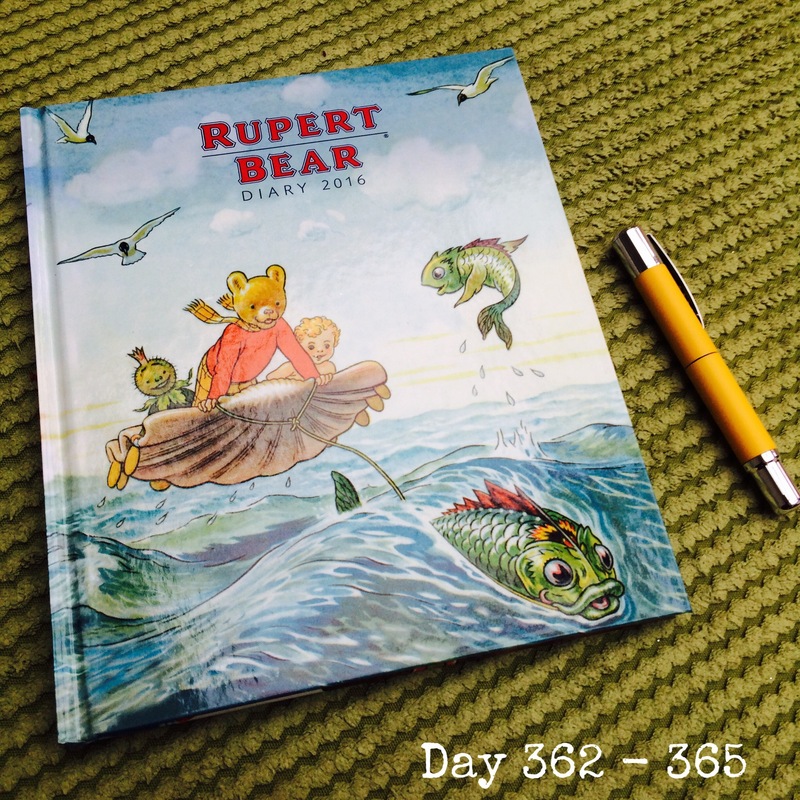 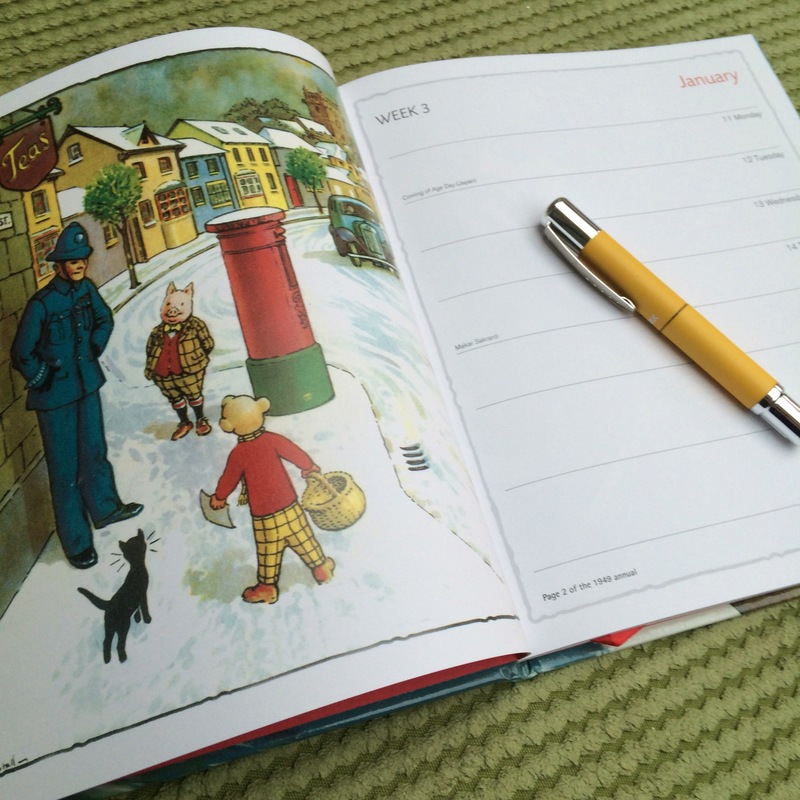 My desk diary for 2016 is this terrific “Rupert Bear” beauty, gifted to me by my sister in law and her, Dog Botherer, husband. 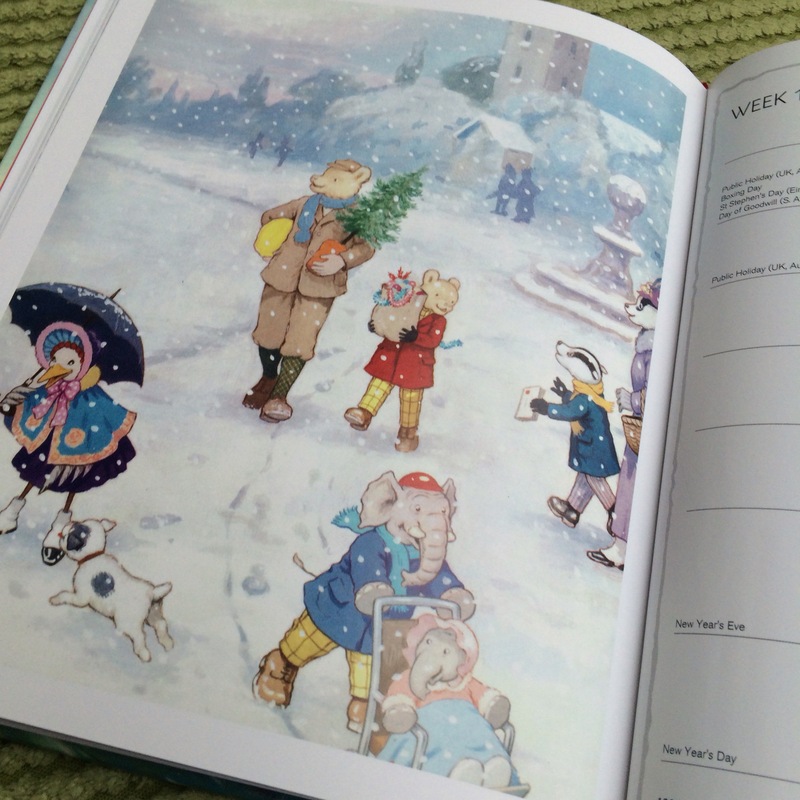 I strongly suspect that she is responsible for choosing this as a gift for me, and not her husband, as I doubt a Huddersfield fan would recognise how delightful this is. 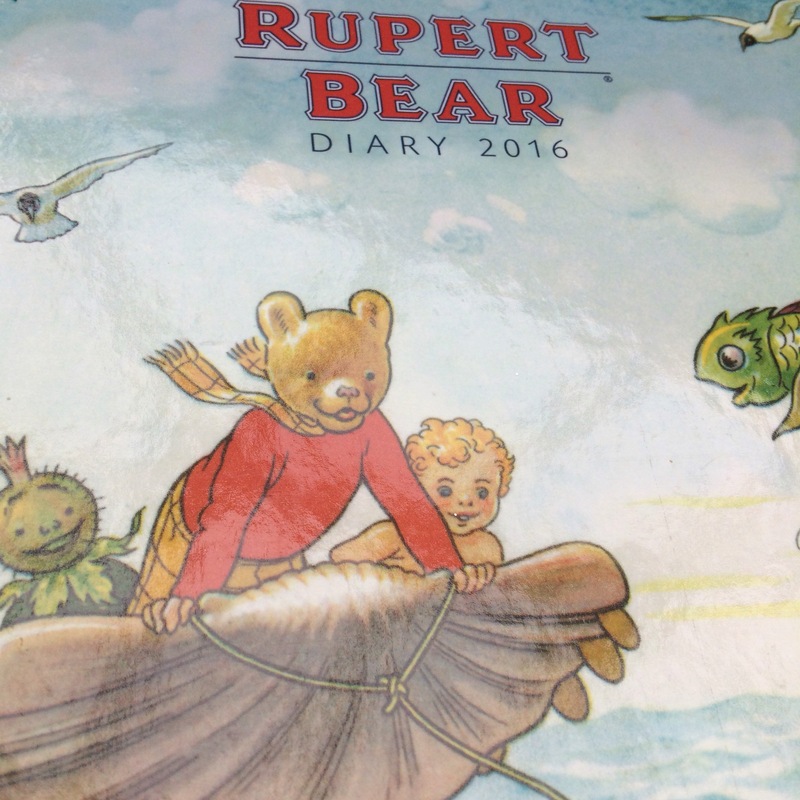 The diary is, almost, too lovely to use; its pages include re-prints of artwork from previous Rupert annuals and publications and the whole thing is fab.